← Your love is like bad measurement. The Many Types of Failure: What Does Zero Mean When Nothing Is Handed Up? Basically, the Edmonton Public School Board decided that, rather than just give a zero for a missed assignment, this would be used as a cue for follow-up work and additional classes at school or home. Their argument – you can’t mark work that hasn’t been submitted, let’s use this as a trigger to try and get submission, in case the source is external or behavioural. This, of course, puts the onus on the school to track the students, get the additional work completed, and then mark out of sequence. Lynden Dorval, the high school teacher who is at the centre of this, believe that there is too much manpower involved in doing this and that giving the student a zero forces them to come to you instead. 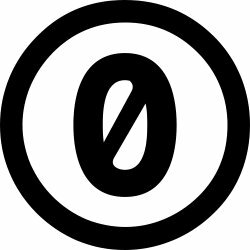 Of course, rather than get into a heated debate where I really don’t have enough information to contribute, I’d rather talk about the basic concept – what exactly does a zero mean? If you hand something in and it meets none of my requirements, then a zero is the correct and obvious mark. But what happens if you don’t hand anything in? Withdraw Fail (WF), where a student has dropped the course but after the census date. They pay the money, it stays on their record, but as a WF. Fail (F), student did something but not enough to pass. Fail No Submission (FNS), student submitted no work for assessment throughout the course. Interestingly, for my Uni, FNS has a numerical grade of 0, although this is not shown on the transcript. Zero, in the course sense, means that you did absolutely nothing. In many senses, this represents the nadir of student engagement, given that many courses have somewhere from 1-5, maybe even 10%, of marks available for very simple activities that require very little effort. My biggest problem with late work, or no submission, is that one of the strongest messages I have from that enormous data corpus of student submission that I keep talking about is that starting a pattern of late or no submission is an excellent indicator of reduced overall performance and, with recent analysis, a sharply decreased likelihood of making it to third year (final year) in your college studies. So I really want students to hand something in – which brings me to the crux of the way that we deal with poor submission patterns. Whichever approach I take should be the one that is most likely to bring students back into a regular submission pattern. If the Public School Board’s approach is increasing completion rates and this has a knock-on effect which increases completion rates in the future? Maybe it’s time to look at that resourcing profile and put the required money into this project. If it’s a transient peak that falls off because we’re just passing people who should be failing? Fuhgeddaboutit. It is very easy to take a side on this and it is very easy to see how both sides could have merit. The issue, however, is what each of these approaches actually does to encourage students to submit their assignment work in a more timely fashion. Experiments, experimental design, surveys, longitudinal analysis, data, data, data! If zeroes make Heroes, then zeroes they must have! If nulls make for dulls, then we must seek other ways! Nik, you are right. This is not one that will be easy to answer. There might not be an answer in the conventional sense. It is fuel for a new conversation. My issue with this whole scenario, and it is unfolding in my backyard in Edmonton, is the way decisions are made. it seems the further one is from a classroom the more expertise we have. The data we need, and you refer to that, in every form, qualitative and quantitative, will emerge from classrooms. Those teachers in our classrooms need to be part of the new emergent conversations about classroom practices, including assessment and reporting. We do it by committee and my posting on this issue pointed out that God only used a committee once, to design the camel. I return to the idea that there is no easy answer and no single question here. Nick presents a perspective from around the world, Australia. This is not a story with a single question, let alone a single answer or two camps. It is a narrative needing multiple questions, new conversations, and new ways of engaging those in the classrooms in the conversations. I’ve gotten in trouble for giving kids zeros for missing work. The parents yelled at me because their kid was lazy. Not a good feeling. A colleague told me to give a 50% for missing assignments, that way they still fail but their grade is salvageable. I’m just not okay with giving a student something for nothing… especially when they’re in high school.